Huge thanks to the Music Producers Guild for our ‘Best Album’ award for 'Tales Of Us’. A huge honour and a brilliant night. 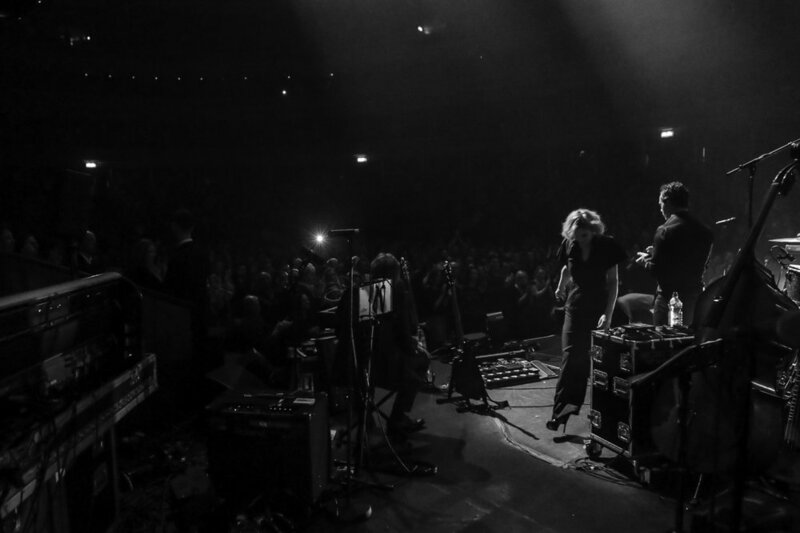 Here are some moments from our Royal Albert Hall show, shot by Christie Goodwin. For more click here. Many thanks to the London Contemporary Orchestra, Lips Choir, John Grant and Hussein Chalayan for my outfit. We are pleased to announce that we are performing a very special one-off show on Tuesday, November 18th with the London Contemporary Orchestra at London's legendary Royal Albert Hall. We’ll be playing our album 'Tales Of Us’ in full plus other favourites alongside a 20-piece orchestra and choir. Members of our mailing list, were offering a first chance to nab tickets for this very special evening before anyone else as part of an exclusive fan pre-sale that takes place tomorrow (Weds Aug 27). The general sale begins on Friday, Aug 29th also at 9am here. We’ve had an incredible year sharing ‘Tales Of Us’ with you all. We hope you’ll join us at the Royal Albert Hall to celebrate our final show of the year. X!